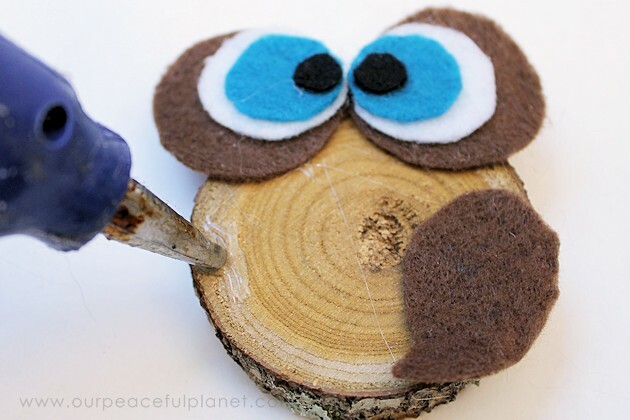 Make this simple wood slice owl decor with a single wood tree slice and some felt! They can be used to adorn just about anything! 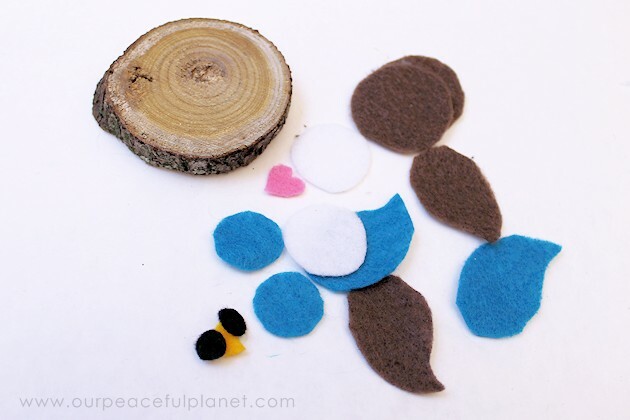 Put them on a wreath, make a door hanging or centerpiece or make a small one for a pin! 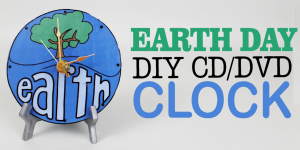 You can create them in any color scheme you want and use them year round! 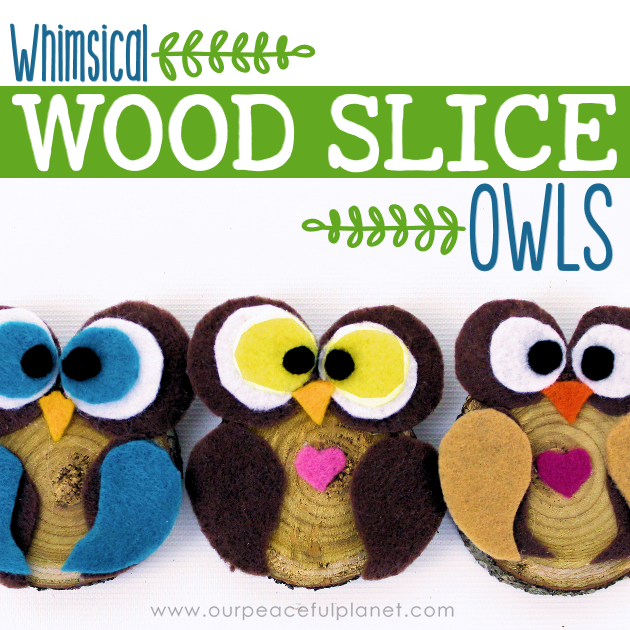 We used one of these owls for our Embroidery Hoop Burlap Wreath. 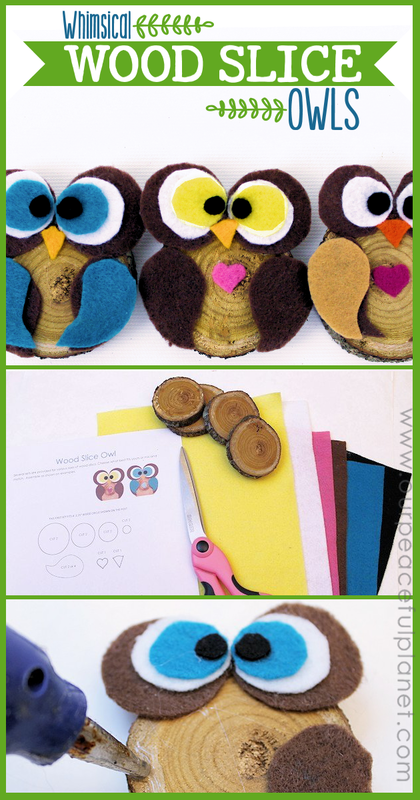 And if it’s owls in general you like you’ll probably also enjoy our Quick Owl Handwarmers! 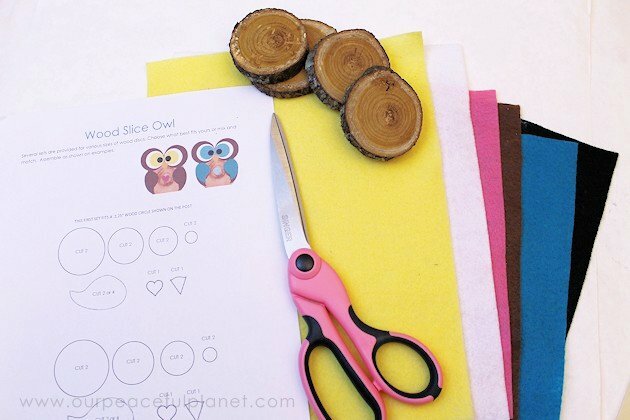 Wood Slices (Ours were approximately 3″. 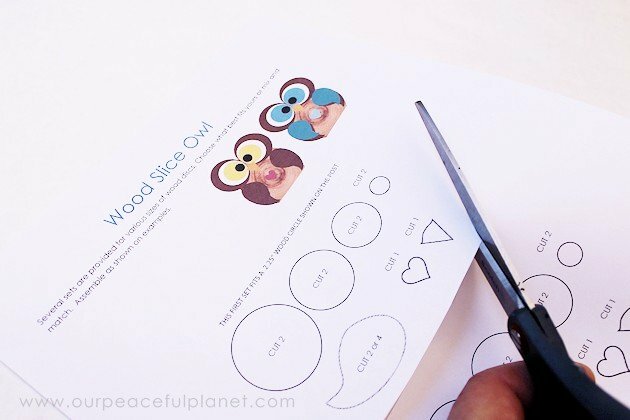 Cut out the patterns to fit your wood tree slices. 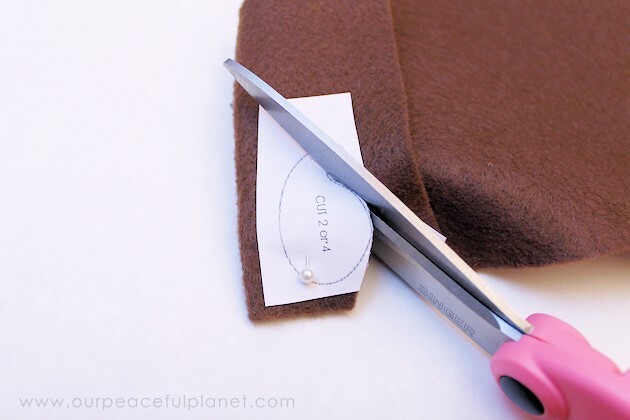 Cut out the felt pieces using the patterns. The owl is now ready to be assembled. Glue your pieces on according to the photos. 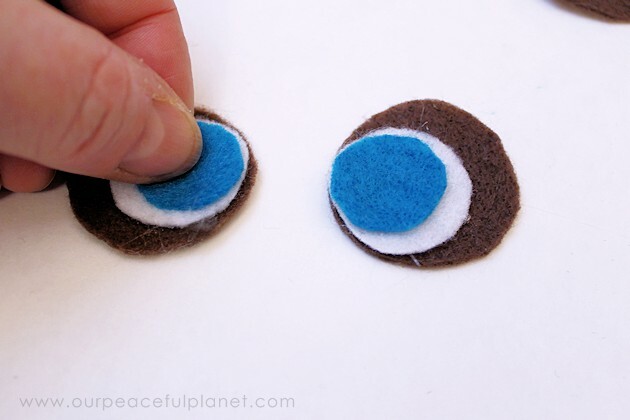 Make sure to get all the eye circles in place. You can use less if desired. Glue the final items on including the layered wings. Make them in any color you want! 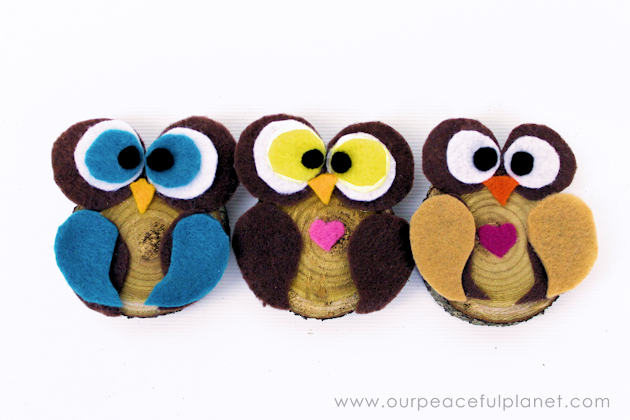 Check out our Burlap Wreath we used a little owl for! How creative! Thank you so much for joining the party at Dishing It & Digging It! Hope to see you share with us this week! Hi, Nancy! Ooh! I mean, whoo! Those are simply the cutest. I’m SO sorry! Thank you for letting me know. 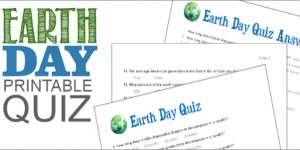 These are tested before the post goes live but this one was missed and of course… it was a broken link. I’ve corrected it and also emailed you the file. Really cute. What a good idea. Bright and cheerful and comical. I really liked them. 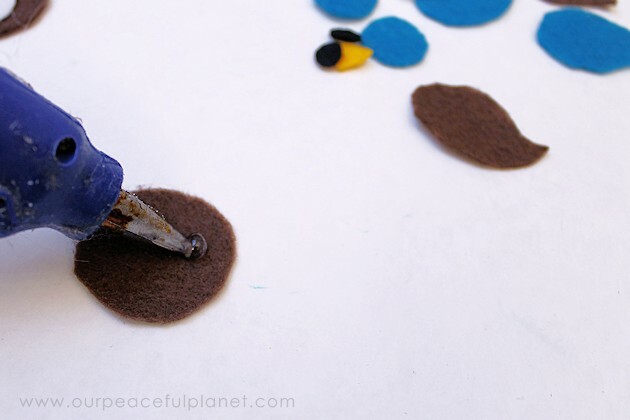 Previous: How to Potty Train a Dog to Use a Bell & How to Make One!